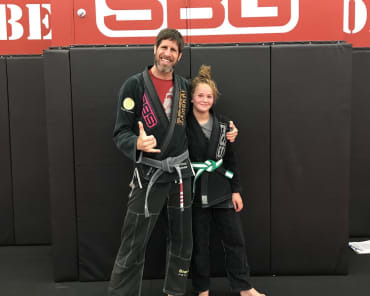 Whether you're training for the BJJ competition setting or you're hoping to take on real-world self-defense skills, we have you covered here at SBG Athens. Our Brazilian Jiu-Jitsu program offers comprehensive coaching for people of all experience levels. You can challenge your body with a great workout and learn something new every day. All experience levels are welcome. Just fill out the short form on your screen to learn more! BJJ is a dynamic ground-based discipline that offers incredible skills for any situation. At SBG Athens, we train men and women who hope to one day be high-level competition fighters. 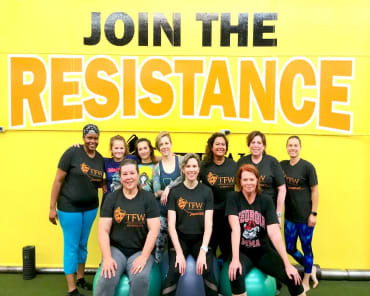 But we also work with everyday men and women who want to learn effective self-defense skills and enjoy total-body results with BJJ. Truthfully, this program is designed to meet the needs of every person who walks through the door. Brazilian Jiu-Jitsu is all about generating leverage over an opponent and using their momentum against them. But it's also a dynamic total-body training system that can help you burn fat and build strength like never before. Our BJJ classes in Athens are high-energy fun that can keep your body guessing and keep your mind motivated from start to finish. Change the way you train and get more out of every workout than ever before. At SBG Athens, we're helping people of all experience levels combine self-defense and fitness training into one incredible system.